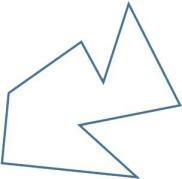 Welcome to the Math Salamanders' Geometric Shapes Information Page. 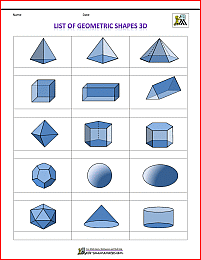 Here you will find a list of different geometric shapes to help you to identify a range of 2d and 3d shapes. Along with each shape, we have also included the properties of each shape and other helpful information. 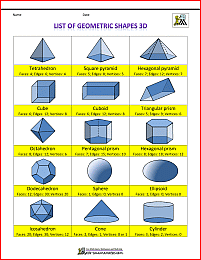 Here you will find our list of different Geometric shapes. 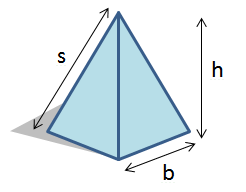 There is a 2d shape area followed by a 3d shape area. 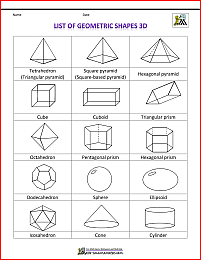 There is an image of each shape, as well as the properties that the shape has. All the Math sheets in this section follow the Elementary Math Benchmarks. Equilateral triangles have all angles equal to 60° and all sides equal length. All equilateral triangles have 3 lines of symmetry. Isosceles triangles have 2 angles equal and 2 sides of equal length. All isosceles triangles have a line of symmetry. 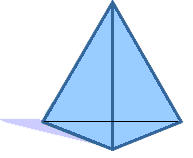 Scalene triangles have no angles equal, and no sides of equal length. 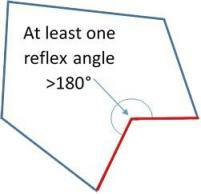 Right triangles (or right angled triangles) have one right angle (equal to 90° ). 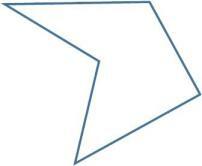 Obtuse triangles have one obtuse angle (an angle greater than 90° ). 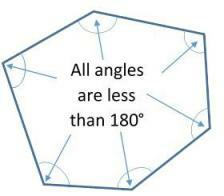 The other two angles are acute (less than 90° ). Acute triangles have all angles acute. Is an Equilateral triangle a special case of an Isosceles triangle?
" In geometry, an isosceles triangle is a triangle that has two sides of equal length. Sometimes it is specified as having two and only two sides of equal length, and sometimes as having at least two sides of equal length, the latter version thus including the equilateral triangle as a special case. " This means that there is some dispute as to whether an equilateral triangle is a special case of an isosceles triangle or not! Most modern textbooks include use the 'at least' definition for isosceles triangles. A quadrilateral is a polygon with 4 sides. Quadrilaterals are also sometimes called quadrangles or tetragons. There are quite a few members of the quadrilateral family. There are also some members which are a subset of other members of this family! See below if this confuses you! Squares have 4 equal sides and 4 right angles. They have 4 lines of symmetry. All squares belong to the rectangle family. All squares belong to the rhombus family. All squares are also parallelograms. Rectangles have 4 sides and 4 right angles. All rectangles belong to the parallelogram family. Rhombuses (rhombii) have 4 equal sides. Both pairs of opposite sides are parallel. All rhombuses belong to the parallelogram family. Parallelograms have 2 pairs of parallel sides. Some parallelograms have lines of symmetry (depending on whether they are also squares, rectangles or rhombuses), but most do not. 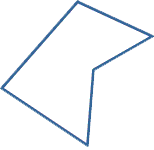 Trapezoids US (Trapeziums UK) have one pair of parallel sides. Some trapezoids have a line of symmetry. Please note the differences between the definitions for US and UK. Kites have 2 pairs of equal sides which are adjacent to each other. 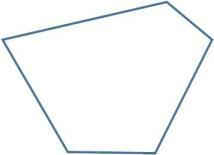 Trapeziums US (Trapezoids UK) are quadrilaterals with no parallel sides. 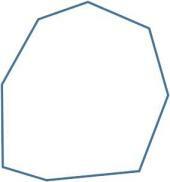 Polygons can be concave or convex in their shape. 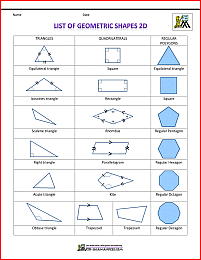 Here is a list of regular polygons from 3 to 10 sides. For each polygon, a regular and an irregular example have been shown. Any regular shape will be mathematically similar to the example shown (having the same angles). Regular shapes are always convex. Irregular shapes can be concave or convex. There are an infinite number of examples of different irregular polygons that could be shown, and only one example is given. What is the interior angle of a regular pentagon? Here are some curved 2d shapes which have not yet been included. 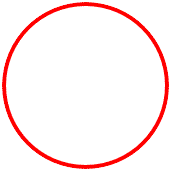 Circles have a point in the centre from which each point on the diameter is equidistant. They have infinite lines of symmetry. This is an interesting question - the answer could be 0 (no straight sides), 1 curved side, or an infinite number of sides are all possible answers. Ellipses are like circles which have been squashed or stretched. They have 2 lines of symmetry. They are also a special type of oval. The longest and shortest diameters of the ellipse are called the major and minor axes. These axes are also the lines of symmetry. Crescent shapes are made when two circles overlap, or when one circle is removed from another circle . The perimeter of crescents are made from two circular arcs. They have 1 line of symmetry. Our moon forms crescent shapes during its phases. Some countries such as Turkey or Algeria have crescent shapes on their flags. Here are some common 3D shapes that you should know. Along with a picture of each shape, the number of faces, edges and vertices are also given. 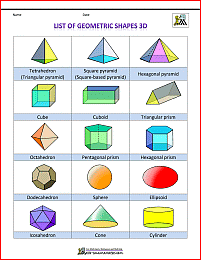 Common properties of the 3D shapes are also given. Please note that there is some disagreement over the definitions and properties of 3d shapes. Some mathematicians allow a face to be curved and some do not. Some mathematicians allow an edge to be curved and some do not. Ellipsoids have either 0 or 1 faces, 0 edges and 0 vertices. the faces of the platonic solids have to be regular and congruent. the same number of faces meet at each vertex. They are named after the Greek philosopher Plato who wrote about them in his philosophical discussions. 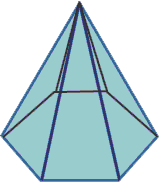 A Tetrahedrons is the same as a triangular pyramid. They have 4 triangular faces, 6 edges and 4 vertices. 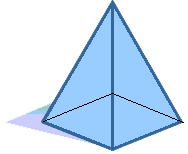 A regular tetrahedron has equilateral triangles for its faces, and is one of the 5 platonic solids. A cube is a type of cuboid and is one of the 5 platonic solids. Octahedrons are a shape with 8 faces, 12 edges and 6 vertices. 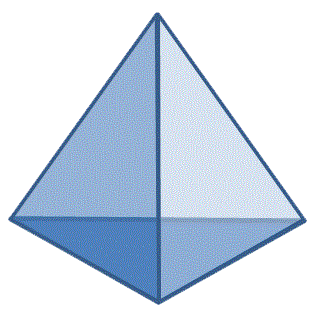 A regular octahedron has equilateral triangles for its faces, and is one of the 5 platonic solids. Dodecahedrons are a shape with 12 faces, 30 edges and 20 vertices. 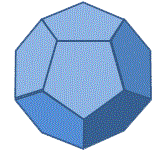 A regular dodecahedron has regular pentagons for its faces, and is one of the 5 platonic solids. Icosahedron are a shape with 20 faces, 30 edges and 12 vertices. All the faces are triangles. 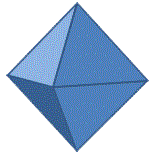 A regular icosahedron is one of the 5 platonic solids with all faces being equilateral triangles. Here you will some printable 2d shape sheets showing a range of 2d shapes. You can choose to have the properties of the 2d shapes displayed or not. The sheets have been split up into US shapes and UK shapes, as there is a difference in the terminology used. 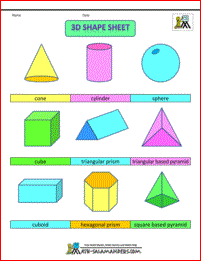 Here you will some printable 3 d shape sheets showing a range of 3d shapes. You can choose to have the sheet printed in color or black. Here you will find a selection of printable 2d and 3d shape sheets. Each sheet is available in color or black and white, and labelled or unlabelled. recognise regular and irregular shapes. Here you will find our support page about different Geometry formulas, including formulas about triangles, circles, quadrilaterals and polygons, as well as 3d shape formulae. 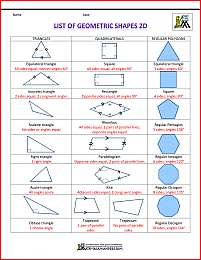 In the Geometry Cheat Sheet section you will find a range of printable geometry sheets with formula and information about angles, 2d and 3d shapes. apply a range of formula to solve problems.